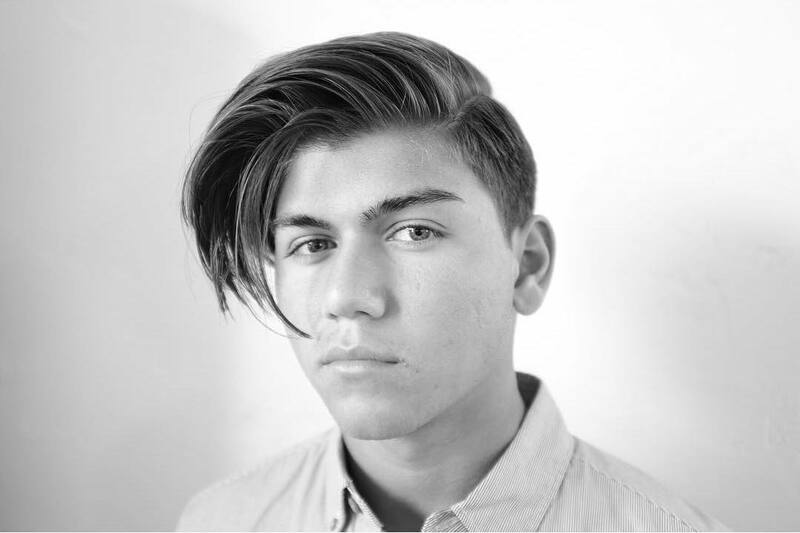 What are the best haircuts and hairstyles for men with thick hair? This is a common question that we get from our readers. 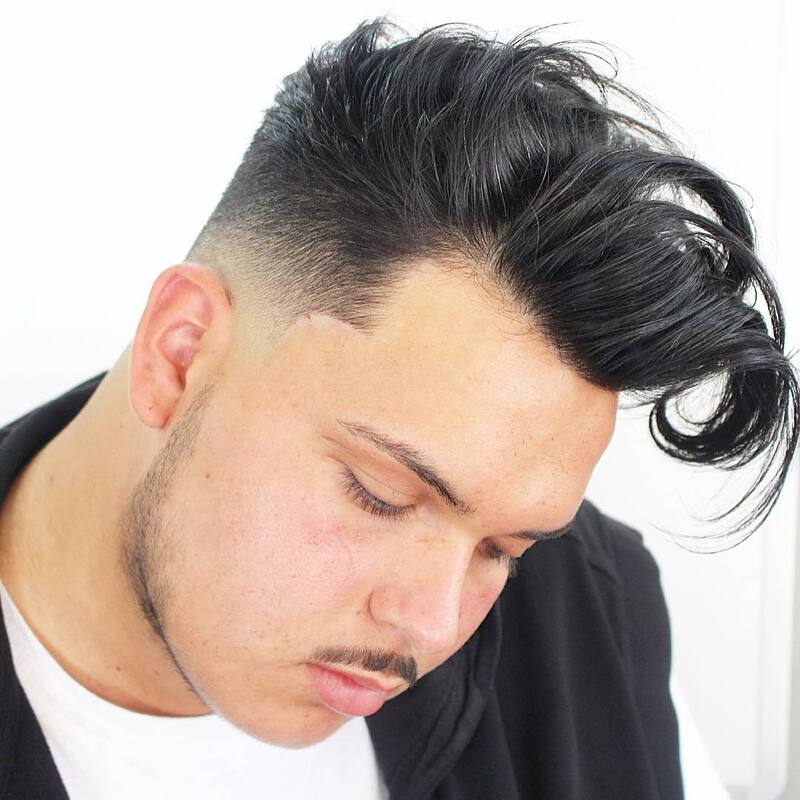 Many guys seek out our help and advice on how to style thick hair. My hair is totally crazy…how do I get my thick hair under control? My thick hair sticks up all the time…how can I keep my hairstyle in place all day long? These are the kind of questions we often get from our readers. The good news is thick hair is perhaps the most versatile hair type of all, if cut properly. If you are having more bad hair days than good you may need to first seek out a new barber or hairdresser. A good barber knows how to thin out thick hair to make it easy to manage and maintain. Something to keep in mind. 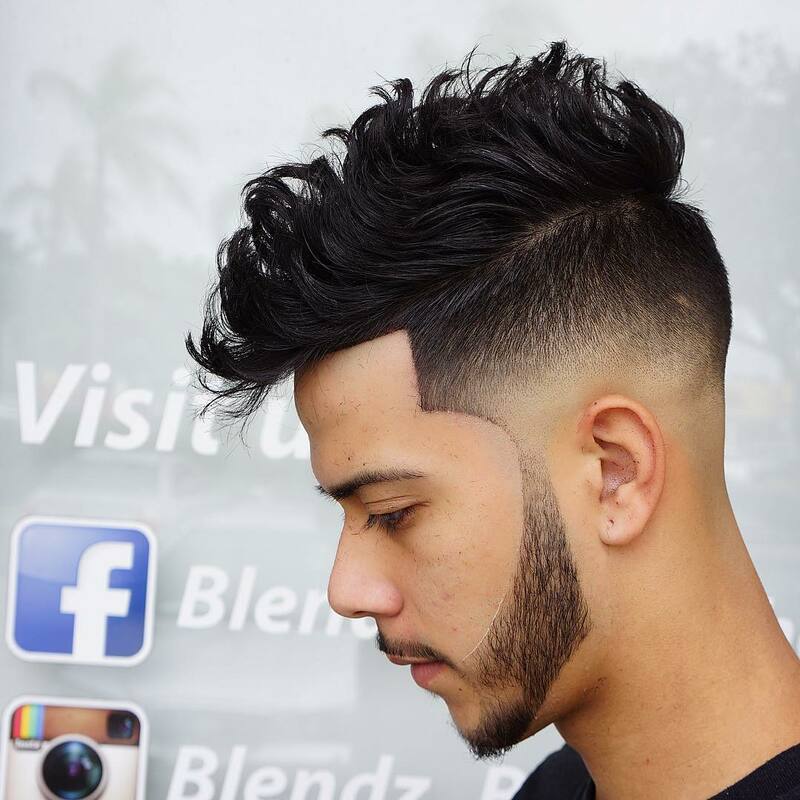 Otherwise, if you feel you have a talented hair cutter here are 15 fresh haircuts and hairstyle ideas for guys that have thick hair. 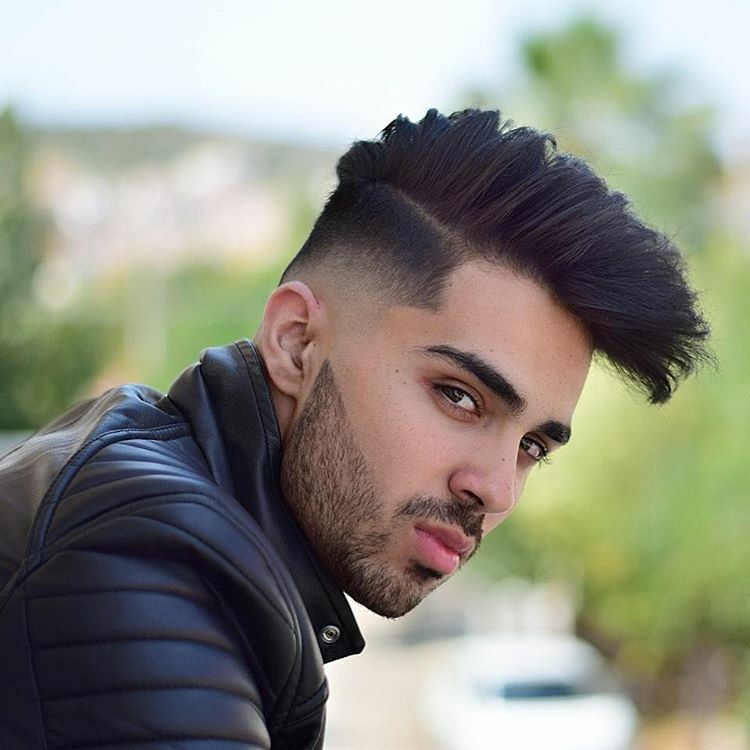 This short haircut for guys with thick hair is perfect if you want something that is easy to style and manage day to day. 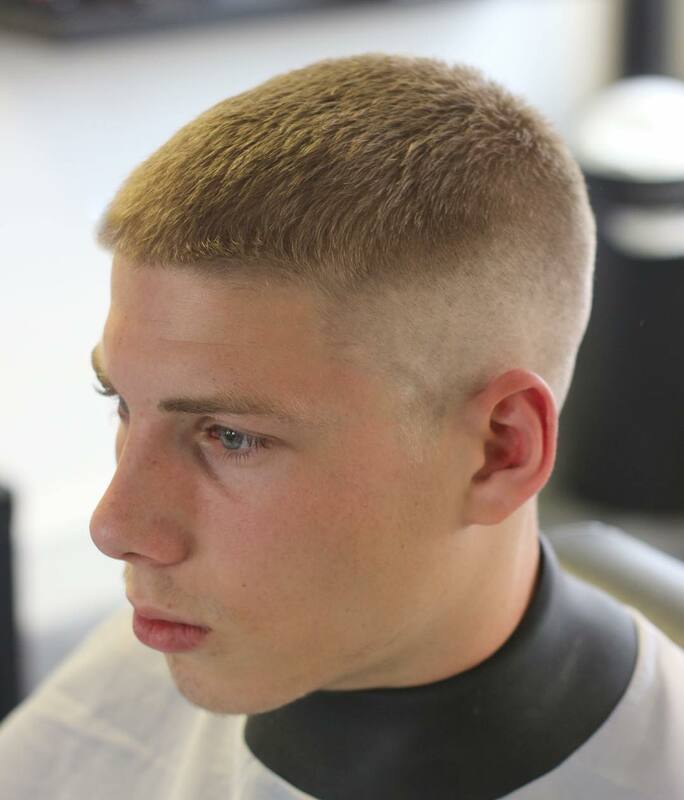 The textured hair is easily styled with a medium hold pomade. Work a small amount into your hair. Make sure the hair product is evenly distributed. Let the textures do their thing. Use your fingers to work your hair into the direction you prefer. This is a great example of how to put the extra body of thick hair to work. 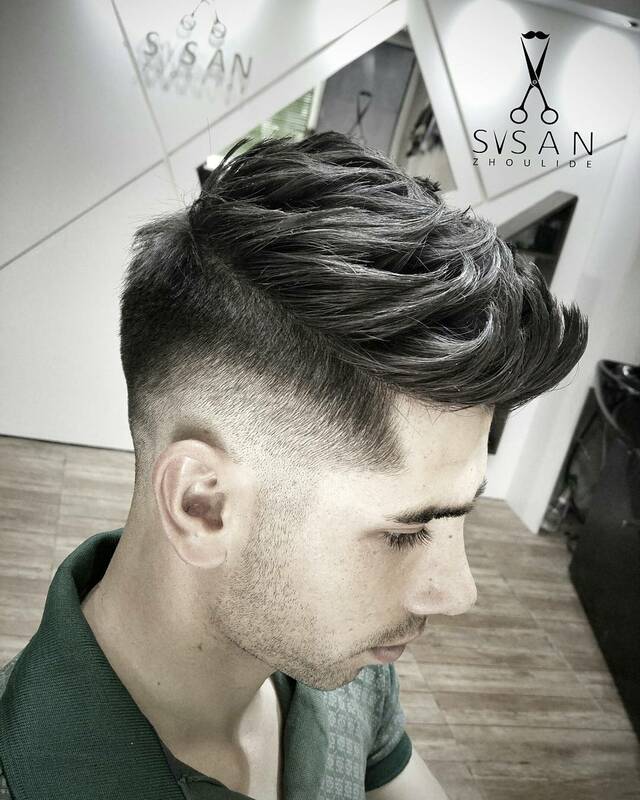 This haircut features a mid fade and thick medium length hair on top styled into a combover pompadour hairstyle. 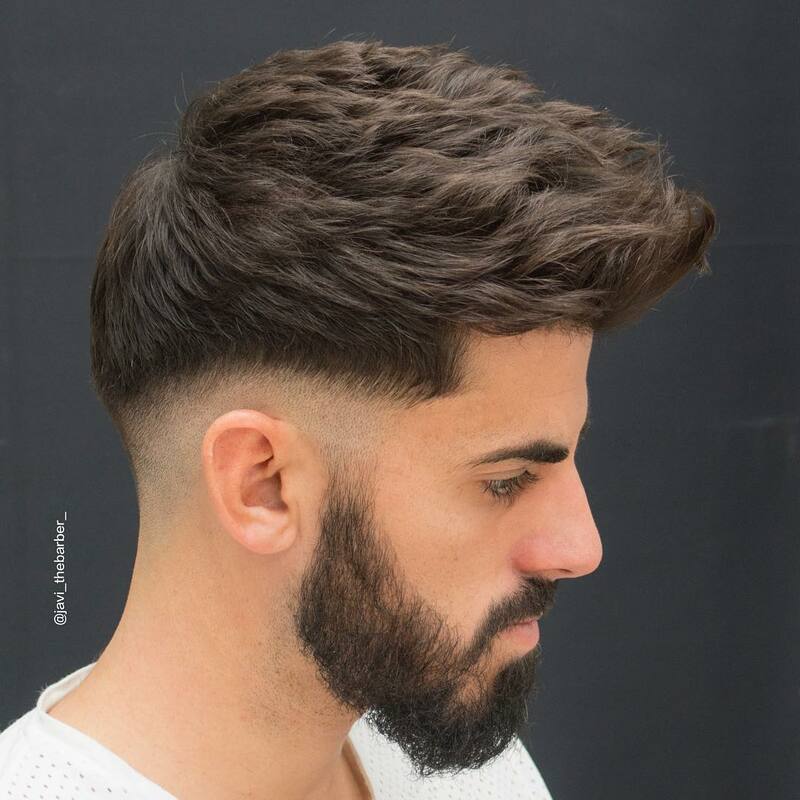 Super cool contrast with the disconnected beard.Use a blow dryer to get the hair to stand tall like in this hairstyle. If you have been growing out your hair to a longer length this is a great men’s haircut for thick hair that you can try. Long messy textures are slicked back and styled using a comb. 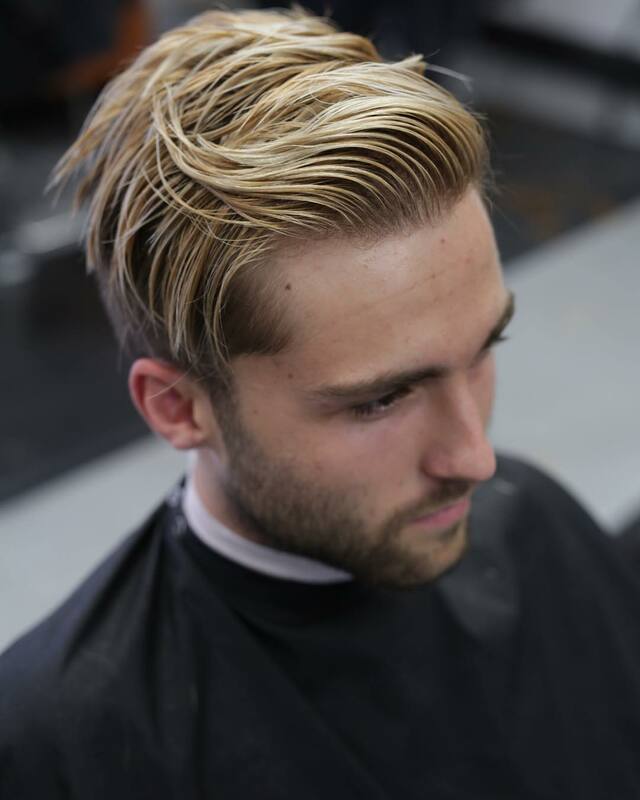 Use a pomade with a shine finish and work into damp almost dry hair to get this look. Use a blow dryer to bring it from wet to almost dry. This will help add some extra body and movement to the hair. 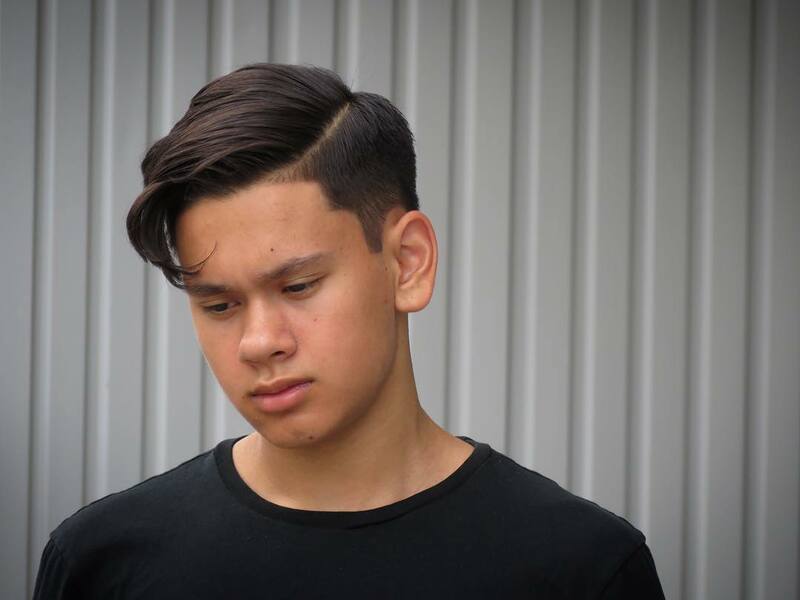 This is a great haircut to tame thick, curly or wavy hair. It features a bald fade and disconnected beard to complement the longer hair on top that is left wild to do its own thing. 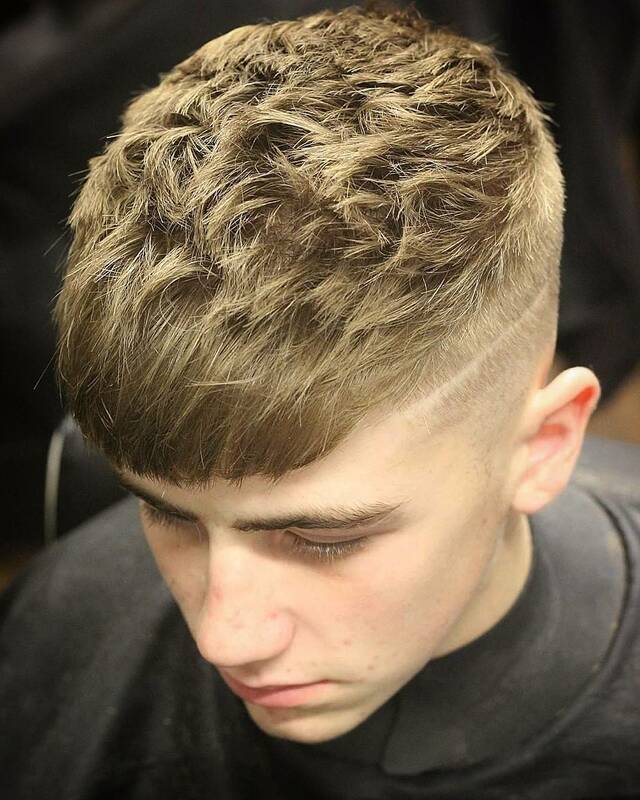 A classic men’s haircut with a modern finish. It features a low bald fade, a nice and clean shape up (hairline trimming) and medium length hair styled back in a natural looking slicked back look. To get the look use a blow dryer to gain some volume.Simply blow dry and brush hair back. 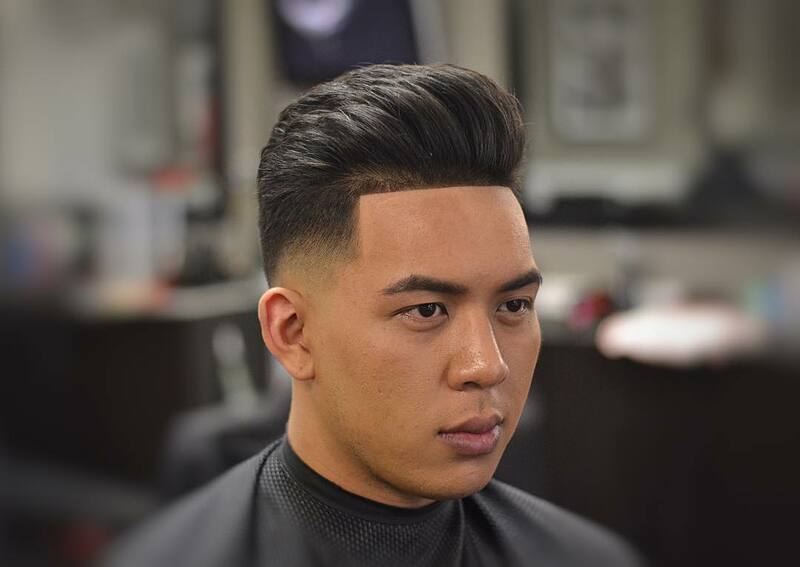 You can use a matte finish pomade before or after. Super cool men’s hairstyle for thick hair. 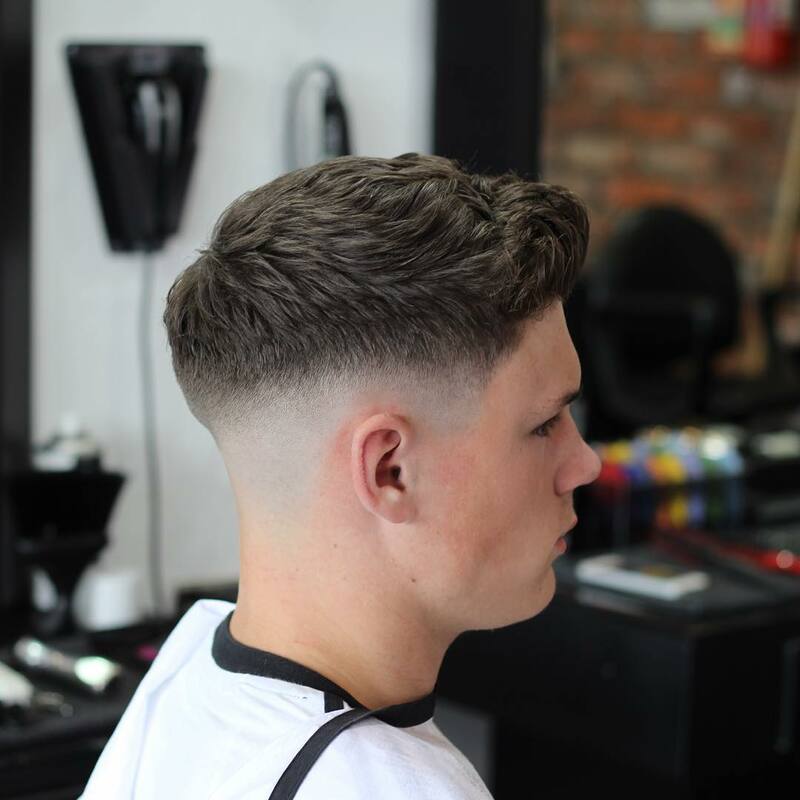 This haircut features a low bald drop fade with short to medium length textured hair on top styled/sculpted back to front. A versatile haircut for thick hair. 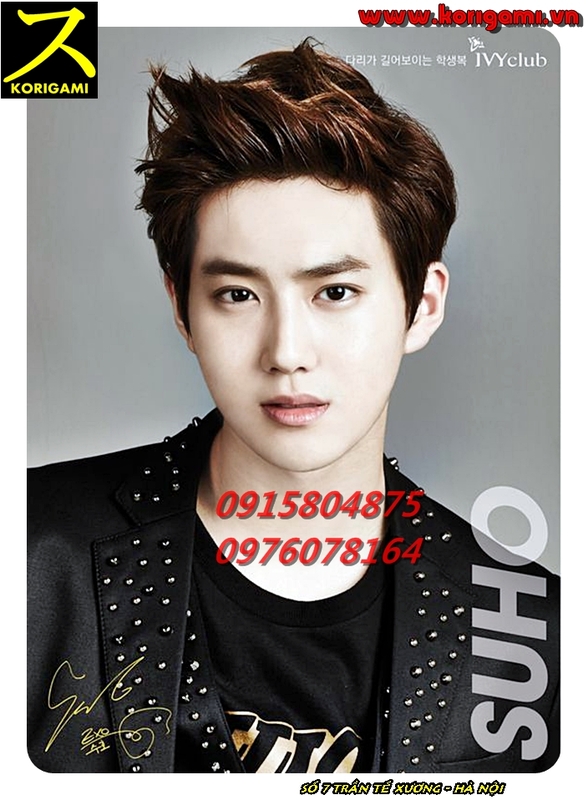 You can let the long hair on top flow naturally or slick it back for a more serious or formal look. Thick hair tamed perfectly with a nice clean looking short haircut. Thick hair on top is styled into a combover mini pompadour hairstyle. The easiest way to manage your thick hair. The crew cut. All you have to do is wake up and go. You will see more of this look in 2017. Short on the sides but not too short. Some low clipper work but mostly all scissor cut. 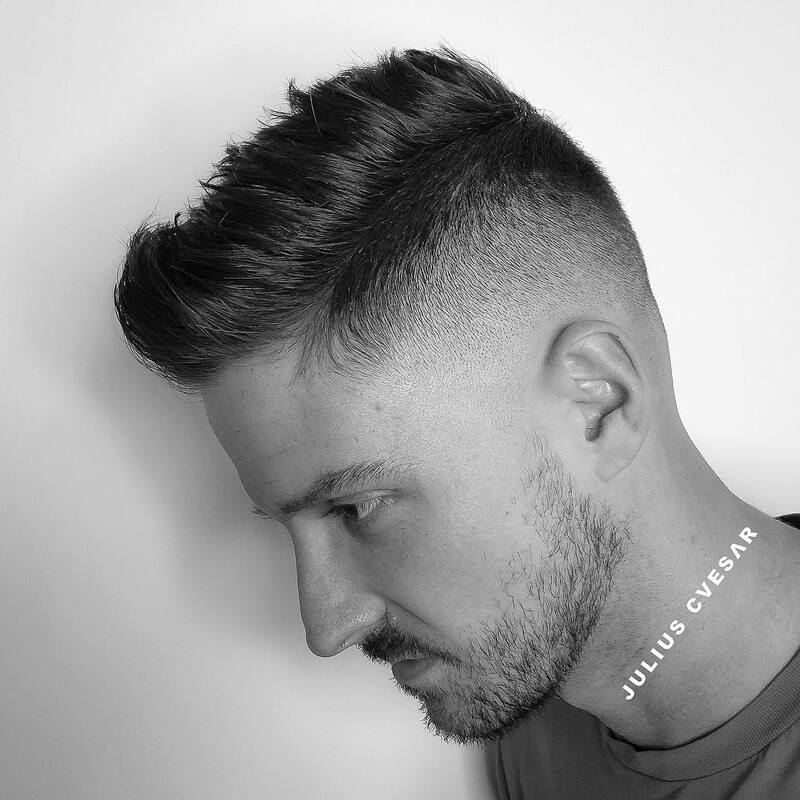 A great looking classic side part combover hairstyle for men. The perfect hairstyle for thick hair. Nice and short. Bald fade for complementary contrast. 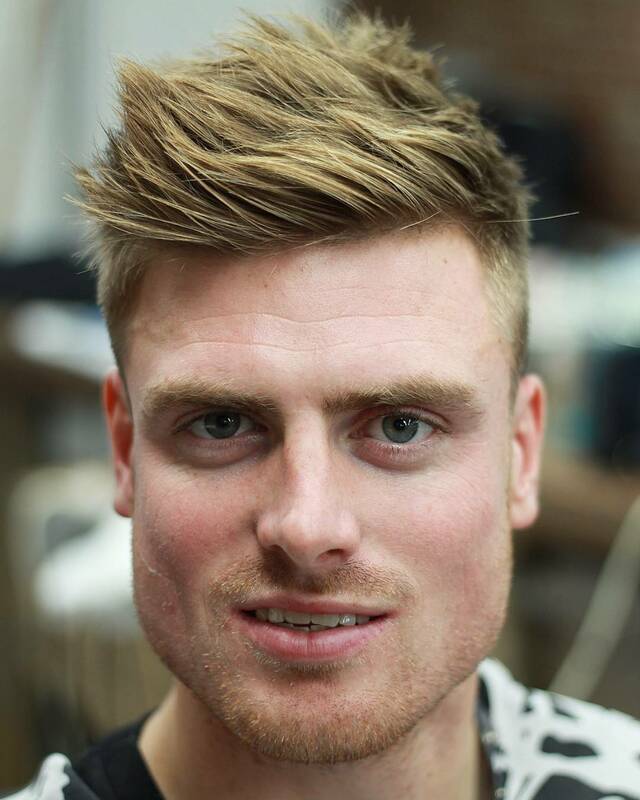 Longer textured hair styled into a forward flow quiff hairstyle. An ultra short crop hairstyle with beautiful textures and a half hard part for some flare. 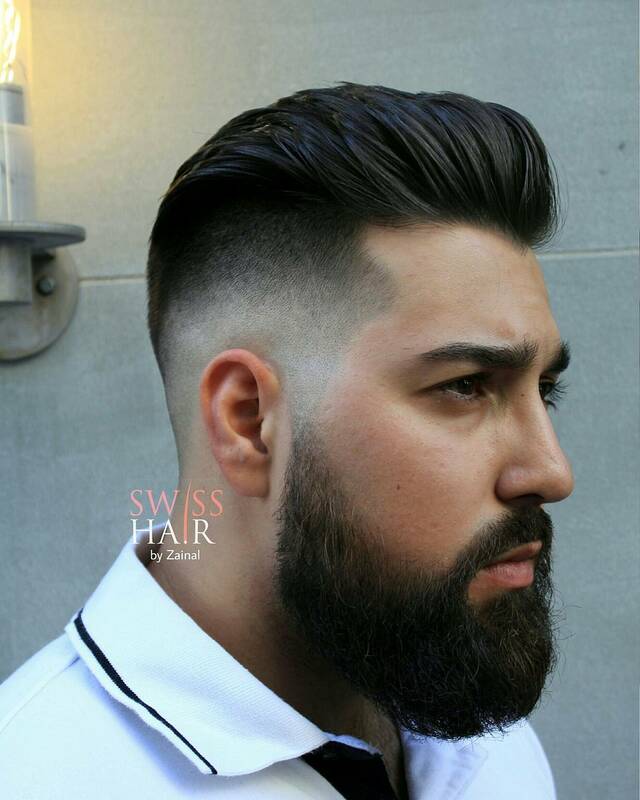 Slicked back undercut hairstyle for men with a beard. Short sides scissor cut with long hair on top and an extra long fringe in front. So there you have it…a modern collection of fresh hairstyles for men with thick hair.